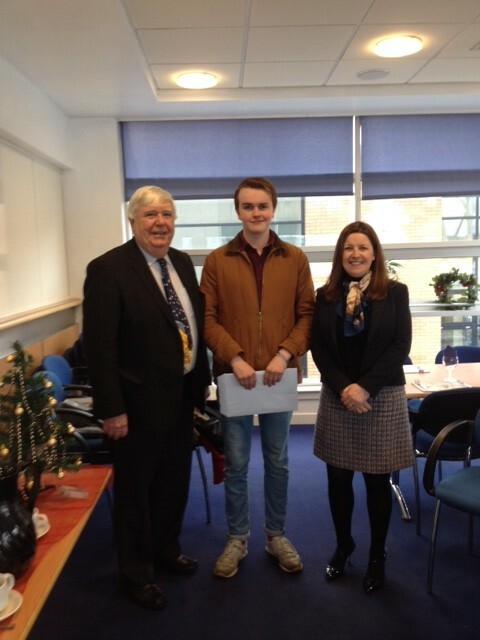 We supported St Charles primary school who participate annually in a film competition. This year they were selected to represent Scotland at the final stage – a two day celebration of film in Paris. With our support more than 20 pupils were able to go on a three day visit. As well as participating in the event the group was able to have some tourist experience and use the French they had been learning in school. Their entry was commended and they were congratulated by French film directors. 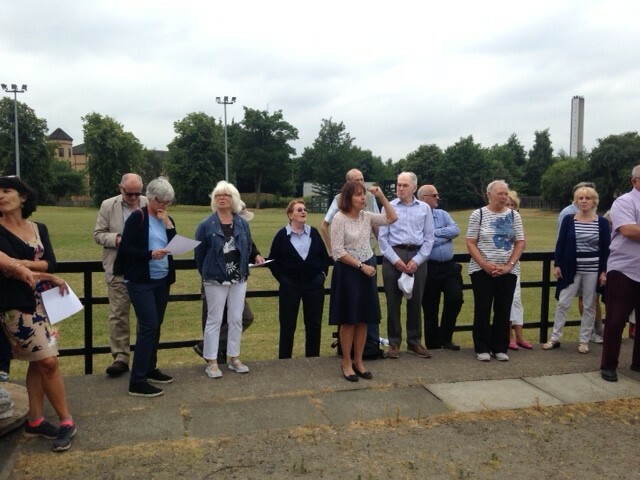 Committee members attended the school assembly on 18 June to learn more about the class’s experience of making the film and their visit to Paris. Thanks to Colin Browning for taking over organising and leading this annual popular event. Approximately 32 people came to the Hillhead Sports Club to take part in the competition. Most of them are faithful branch members but we also welcomed folk from other francophile groups in Glasgow. 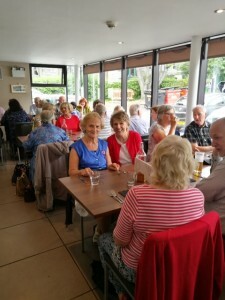 Most participants went on to enjoy a convivial lunch in the club restaurant. From September to May, meetings are held on the third Thursday of each month at 7.30pm. Address: Russell House, 81 Hyndland Road, Glasgow G12 9JE. We have a mixture of guest speakers and social events. The evening concludes with a refreshment taken in convivial company when you have the opportunity to practise your French. The meetings finish around 9.15pm. We meet at the Alliance Française, 2-3 Park Circus, on the first Monday of each month (except August) from 2 pm till 4 pm. This runs in conjunction with the Alliance Française. Any member from the Alliance is welcome to join our conversational group. The conversation ranges from personal news to current politics. We also frequently have a discussion theme that could be thought about in advance. Everyone is encouraged to speak but you can also just listen. The usual attendance is between 18 and 30 with a wide variety of fluency in French. A few native speakers attend. It is a friendly meeting where conversations can flow from current events, which can be very lively, to holidays and films which can be instructive but less provocative. All members receive quarterly bulletins, mostly in French, giving information on their local Glasgow branch and a variety of articles on topical events. The membership fee is £20.00 for the year. You can attend as a guest (£3.00 per meeting plus refreshment). As a member you will be entitled to borrow, free of charge, books, DVDs, CDs etc from the Médiathèque at the Allliance Française. You may join or renew your subscription using this form. FSS GLASGOW SUB FORM 2018-2019 Click to download. The branch sponsors the Glasgow schools visit to the European Parliament in Strasbourg for the Euroscola youth debate. Thursday 16th May: Annual General Meeting – suivie du verre de l’amitié et d’une dégustation de fromages. The meetings will take place in Russell House, 81 Hyndland Road at 7.30pm. In conjunction with the Alliance Française we host a “Quoi de neuf? discussion group from 2pm to 4pm on the first Monday of the month (except August) 2-3 Park Circus. In August there is no meeting and in May we meet on the second Monday. In 2019 that will be Monday 13th May. 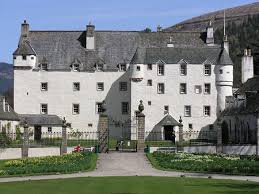 For contact details see Franco-Scottish website or just come along to a meeting. Le soleil était de la partie pour notre excursion à Traquair. Notre chauffeur avait choisi des petites routes pittoresques bordées d’arbres aux feuillages lumineux. Sur les pentes des Southern Uplands de nombreux agneaux se prélassaient au soleil. Nous avons été chaleureusement accueillis par un guide qui nous a fait découvrir l’histoire de ce château admirablement situé dans un écrin de verdure. Chaque pièce relate des épisodes souvent dramatiques et des souvenirs d’une famille obstinément fidèle à la dynastie des Stuart. Après la visite de l’émouvante petite chapelle avec son autel de marbre et ses sobres panneaux relatant la vie du Christ, c’est l’heure de la dégustation des fameuses bières de Traquair. Après un réconfortant déjeuner nous musardons dans le parc et deux de nos amies s’aventurent courageusement dans le labyrinthe. Un dernier regard sur la large avenue et le grand portail de Traquair qui ne s’ouvrira que, si un jour, un descendant des Stuart accède au trône et nous reprenons la route de Glasgow enchantés d’une visite intéressante inondée de soleil. 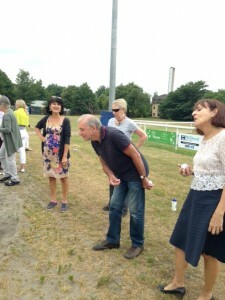 Our annual ‘pétanque’ competition was held this year on a bright and sunny 14th July. The event was once again well attended with approximately 30 participants, mostly members but we were delighted to welcome several visitors as well. The competition has been superbly organised for ten years now by our long-time member Joe Cent and his wife Zara. They enhance the French atmosphere of the gathering by arriving in their 2CV, flying a very large ‘tricolore’. We play at varying levels of ability but it is always a fun occasion for all. Winners are rewarded with bottles of wine. Following the prize-giving, most of the group stay to enjoy a convivial lunch at the sports club restaurant. Sadly, this year is the last time Joe and Zara have hosted the event. At the start of the lunch, our immense gratitude was expressed to them for faithfully hosting this gathering over the past decade. Plans are in the pipeline for our Glasgow branch to continue the tradition of this great event to enable us to come together and celebrate the ‘Fête Nationale’. Approximately 25 of our members attended a guided visit in French at the Hunterian Art Gallery of the exhibition The Truest Mirror of Life: 19th Century French Caricatures by Dr Greg Kerr of the University of Glasgow Languages Department. He was also the co-curator of the exhibition. Caricature features strongly in The Hunterian collections and The Truest Mirror of Life reflects the rising popularity of the genre in 19th century France. After the visit, several members gathered at a café nearby for a friendly time chatting to one another. Our President Gerry, Treasurer and Secretary were pleased to attend a ceremony at the High School of Glasgow to award the Franco-Scottish Society of Scotland Prize 2017 to Joseph McGrath Williams who attained the highest mark in Advanced Higher French. He shares this achievement with two candidates from an Edinburgh college. 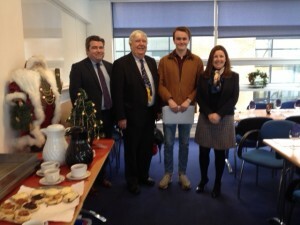 Gerry made a short speech and gave Joseph his certificate and cheque for £200. Joseph informed us he is studying medicine at Oxford University and is a member of the French Club. Once again, everyone was welcomed with a cup of traditional vin chaud made by Janine. We were pleased to host the Ullapool String Quartet, an amateur group featuring two of our members, Deborah Rutherford and Rona Gaffney. Rona’s husband David and their friend Christine Bucknall. They performed sophisticated arrangements of Christmas songs and carols and we were led in the singing by Ian and Catherine Robertson. Bill Daly sang Cholesterol by Adam McNaughton. Suggesting we should avoid rich food, this lively song has obvious seasonal connotations. Following the entertainment, we all gathered for a convivial and joyful time eating the delicious food of savoury and sweet dishes contributed by all our members. 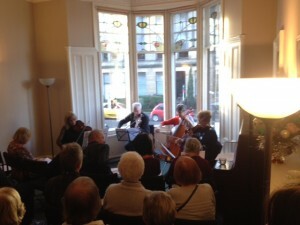 The Ullapool String Quartet at Russell House. The lecture was held on Saturday 12 November in Glasgow City Chambers. Over 70 people arrived to hear Dr Frances Fowle of the Scottish National Gallery and Edinburgh University talk about the art collectors in the late 19th and early 20th centuries in and around Glasgow and in particular their interest in French contemporary art. Dr Fowle is Senior Curator of the National Galeries and also lectures in Edinburgh University. She is also the author of the biography of Alexander Reid, the well-known Glasgow art dealer. He shared a flat in Paris with the van Gogh brothers. Vincent van Gogh’s portrait of Alex Reid is in the Glasgow Museums collection. The talk was thoroughly entertaining and informative. 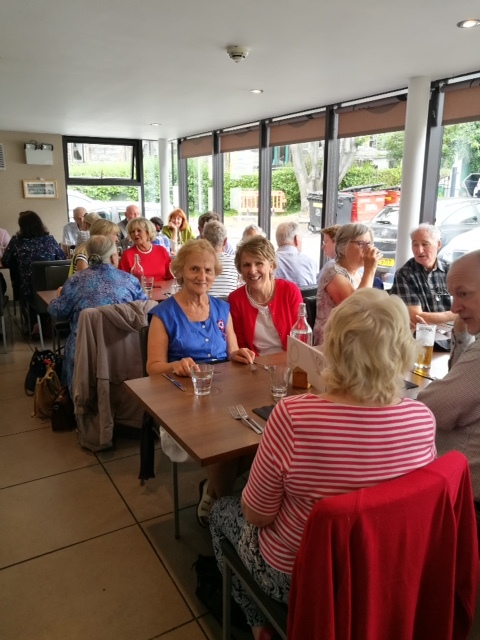 More than 50 members of the Franco-Scottish Society branches across Scotland then enjoyed lunch in the Cote Brasserie in West Nile Street.